July 1st marks Canada’s 148th Birthday. 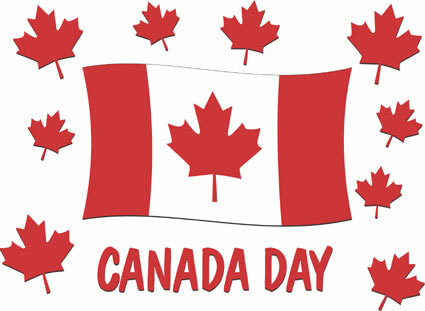 I thought as we remember Canada’s Birthday on this day with celebration and fireworks, we also remember its heritage and history. Canada was (and hopefully will continue) to be a nation founded under God. “O Canada! Our home and native land! True patriot love thou dost in us command. We see thee rising fair, dear land, The True North, strong and free; And stand on guard, O Canada, We stand on guard for thee. Refrain O Canada! O Canada! O Canada! We stand on guard for thee. O Canada! We stand on guard for thee. O Canada! Where pines and maples grow. Great prairies spread and lordly rivers flow. How dear to us thy broad domain, From East to Western Sea, Thou land of hope for all who toil! Thou True North, strong and free! Refrain O Canada! O Canada! etc. O Canada! Beneath thy shining skies May stalwart sons and gentle maidens rise, To keep thee steadfast through the years From East to Western Sea, Our own beloved native land! Our True North, strong and free! Ruler supreme, who hearest humble prayer, Hold our dominion within thy loving care; Help us to find, O God, in thee A lasting, rich reward, As waiting for the Better Day, We ever stand on guard. Today I pray that God will indeed “keep our land strong and free”! He is our Sovereign, even though many in this land choose to ignore that fact. This entry was posted in Canadiana, Inspiration & Devotion, Proverbs 16:9 - Journey Thoughts and tagged Birthday, Canada Day, Canadians, O Canada, patriotism. Bookmark the permalink.